Are the Aliens (aliens) or not? The question is still unknown. There are many arguments on this but not the right proof. However, the debate on the latest aliens started. This is due to the presence of aliens vehicles (UFO) at the International Space Station (ISS) in space. Their movements were recorded in ISS cameras. The video recorded on April 14 saw a UFOo coming to the ISS and blinking lights. The video was posted on an Aliens Hunter Youtube that was definitely alien. '' NASA does not know why you should not mind why. These UFOs will come when the astronauts in the ISS will break the coffee break. Their movements are clearly recorded. 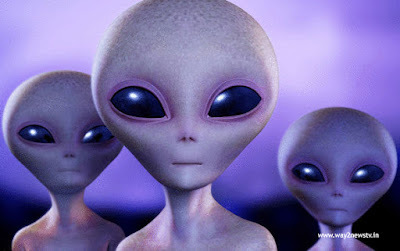 "Some people claim that there are creatures (humans) in this universe as well as human beings. It is said that the presence of UFOs is available at the ISS, and that NASA is aware of it. NASA is the only video in this video that can be seen in the ISS.